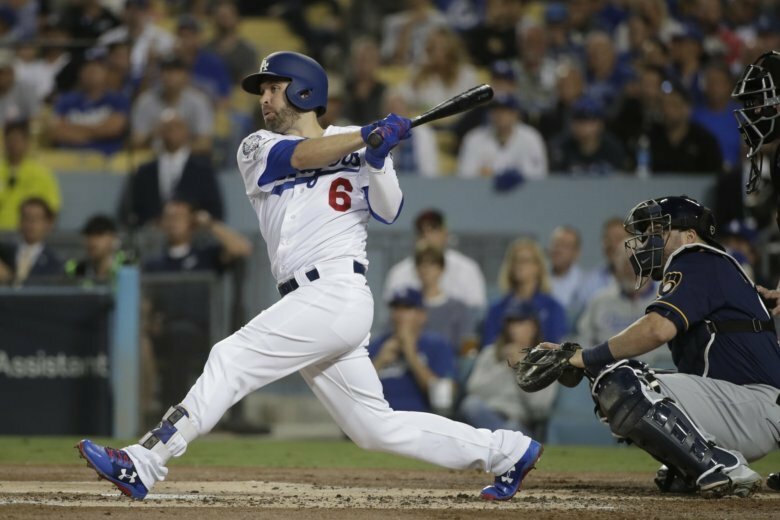 WASHINGTON (AP) — Brian Dozier found his latest team — and the Washington Nationals found a temporary solution at second base. Dozier, who played for the Minnesota Twins and Los Angeles Dodgers last season, would fill Washington’s need for a new starting second baseman and could help add some power to the lineup, particularly important if slugging outfielder Bryce Harper ends up leaving the Nationals as a free agent. The 31-year-old Dozier’s agreement with Washington was first reported by ESPN. While still waiting to find out what will happen with Harper, the Nationals’ additions have included lefty starter Patrick Corbin, catchers Yan Gomes and Kurt Suzuki, relievers Kyle Barraclough and Trevor Rosenthal, and backup first baseman Matt Adams. Notes: Right-hander Joe Ross avoided arbitration, agreeing to a $1 million, one-year contract, a raise from $567,900 in his first year of eligibility. Ross returned late last season after Tommy John reconstructive elbow surgery, going 0-2 with a 5.06 ERA in three appearances. He is expected to head to spring training with a chance to compete to be the No. 5 starter at the back end of Washington’s star-studded rotation, which includes Max Scherzer, Stephen Strasburg, Patrick Corbin and Anibel Sanchez. Four Nationals remained eligible to swap proposed salaries Friday: third baseman Anthony Rondon, shortstop Trea Turner, outfielder Michael A. Taylor and right-hander Kyle Barraclough.